Is a Dental Discount Card or Dental Insurance Better? Is a Dental Discount Card or Dental Insurance Better to Save? Regular dental care can prevent serious problems and save you money on tooth repair. Even if you have regular appointments and cleanings, you may run into times when your dental bills are really big. If you are struggling to get by, a trip to the dentist may be one that you can put off, especially if your teeth are not currently bothering you. However, you may need to go in with a bad tooth or you want to maintain your healthy smile. There are ways that you can work to reduce the amount you pay for a dentist. Will a Dental Discount Card Help Me Save? You can usually purchase a dental card for a fairly low price. The card company negotiates lower rates with the dentist for the services he offers. These rates are similar to what the insurance company would negotiate. You have a lower cost for the services, but you are responsible for paying for one hundred percent of the cost. Typically, you can save between about twenty-five to fifty percent on each of the services done. Over time this can add up. This is a good option if you are single, and your dental insurance options max out at $1000.00. How Can I Find a Dental Discount Card? You can find dental discount cards online. It is important to carefully research your options to find one that is accepted by several dentists in your area. In fact, you may start by asking your dentist if they work with any cards and start looking there. Read reviews on them and make sure you get one that will really help you save money. The nice thing about the dental discount card is that you generally do not need to wait to start using it. Be sure to check on any limits or rules in regards to each card. Will Dental Insurance Save Me Money? You may qualify for dental insurance through your employee benefits or you may be looking at an individual plan. Dental insurance plans have a lower maximum coverage limit than most people realize. Often the amount is about equal to the monthly premium costs. The plan may make sense once you have multiple people on the plan, and the maximum amount applies to individuals and not to the entire family. The insurance will help you to negotiate a lower rate with the dental care that you receive above your current coverage. How Do I Find Dental Insurance? 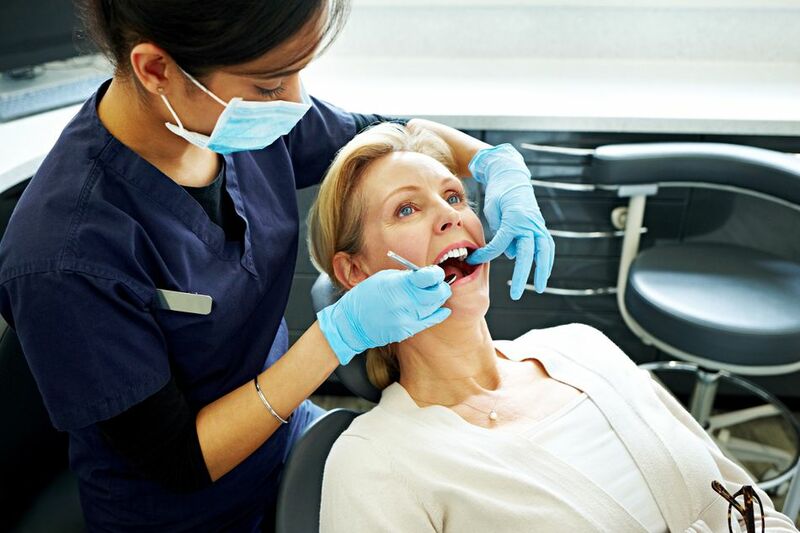 Often employers will offer dental insurance. If you did not sign up for it when you first started your job, you can add it during ​open enrollment. You can also purchase dental insurance independently. You can look online for it or ask an insurance agent if they can help you find a plan. Some health insurance sights may also offer separate dental insurance options that you can purchase. Again it is important to research the plans and companies if you are buying independent dental insurance to be sure that the majority of customers are happy with the coverage. Which Option Will Save Me the Most on Dental Care? The best thing you can do is to carefully shop the different insurance plans and dental cards to find the best deal possible. The dental discount card may give you the most savings for your money, but you need to find one that has several dentists you can choose from in your area. If you have a dentist you like and trust, you may want to contact them to see what types of insurance and dental cards that they accept. Then look into signing up for one of the plans they accept. This means you will not have to look for a new dentist. How Can I Pay for Dental Care? Even with insurance or a dental discount card, you will end up paying for a portion of your dental care out of your pocket. It is important to include this in your budget. You may roll it into your medical expenses category or you may choose to have a separate category. Many dentists will set up a payment plan if you need one due to a dental emergency. There can be serious complications from failing to care for a cavity or an infection in your teeth or gums. It is something you need to see a dentist about. You can also use your emergency fund to pay for emergency trips to the dentist. Some people are more prone to cavities than others. However, there is a lot you can do to prevent and minimize your dental expenses. Catching the problems early through regular check-ups can help. Good oral hygiene is another thing you can do to protect your teeth and to save money. Most of this is common sense, but you may want to talk to your dentist to see if there are additional things you can do to prevent cavities in the future. Be sure to shop around for a dentist with the lowest rates possible. Can Dental Discount Cards Really Help You Save on Dental Bills? Is It Ever a Good Idea to Switch from Term to Whole Life Insurance? Do I Need an Umbrellas Insurance Policy?